Thanks to steady job growth and an affordable cost of living, the Triangle housing market remains one of the more competitive mid-size markets in the country. And while most of us who already live here are well aware of that competitiveness, a new report from realtor.com further demonstrates just how robust our market can be, especially when it comes to flipping homes. According to the data, Raleigh registered the highest year-over-year home flipping increase in 2018, edging out a number of popular retirement destinations like Orlando, Phoenix, and Las Vegas. The report, which studied a whopping 200 markets, examined home sales from last July, August and September, and then proceeded to compare those sales to the same time period in 2017. 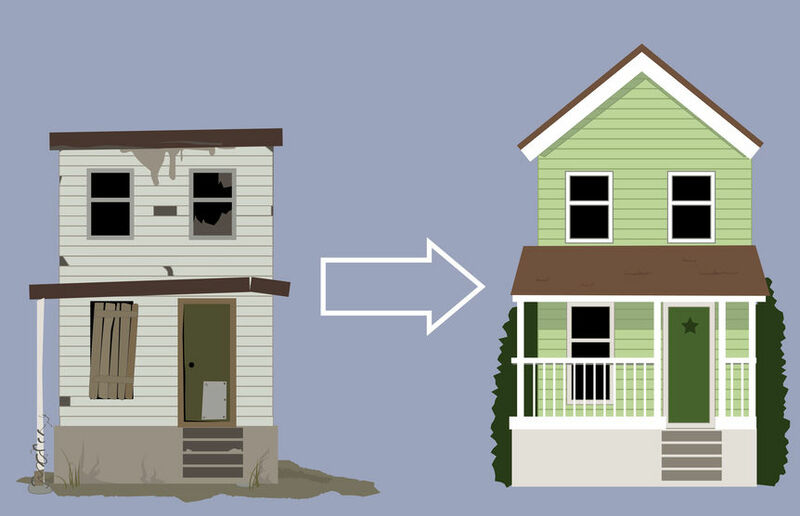 According to realtor.com, a home-flip is defined as any type of home that is re-sold within 3 to 12 months of its original purchase. Furthermore, the study also excluded foreclosures and homes that didn’t resell for a higher amount than its original purchase price. Despite Raleigh’s high volume of home-flips in 2018, however, Durham’s 27707 ZIP code ranked as the Triangle’s most profitable home flipping ZIP code, recording a gross profit go $98,250.